Growing up in Sacramento we would wait all year for the white peaches to come out for pickin. The white peaches most of you yellow hard peach eating folks say?? Yes, white peaches. The softest yet firm white flesh is sweeter and juicier than any yellow peach you have eaten. But, being near to the San Francisco Bay area I also love Frog Hollow Farms and I wait for the annual peach wars. O’Henrys vs the Cal Reds. each year who will win. Well try some of each and pick a winner! And while you are at it taste their baked goods! Excellent turnovers even the non-fruit versions like the ham & cheese. Each year the California Governor proclaims the 1st Saturday in June set aside o honor the elders. Traditionally we honor our native elders, but all cultures recognize the importance of elders, and the work to pass the values and traditions that our elders hold for us on to the next generation. music, arts & crafts, and Governor’s recognition. Free*****and open to the public. We recognize and honor all of our elders. It’s still real warm in northern California, deep into September, but in the morning you can smell it. Yes, you can smell apples in their crates inside of the barn. No….I don’t live in a barn. But I live in California and each year I love to visit Apple Hill near Placerville, also known as Hangtown, in Northern California. You got to go and if not, you got to take a virtual trip and check it out. It looks good, it smells good and it tastes damn good!!! So check out the Association site and see what’s new for 2012. Grab ourself a map & a guide if you need one. What’s good there? Well apples, of course. Apples, apple pie, apple fritters, candy appled apples, apple juice & cide. My favorite? apple cider donuts. Yum. Plus BBQ lunches at some farms, train rides and fishing for the kids. The smells and tastes. A day out of the city. Christmas tree tours, winery tours. Pick ’em yourself farms. Teaching the kids where their food comes from. Filling up the car or truck with goodies to take home. And even more goodies to give to famil, friends, neighbors. Put in the freezzer. The Blossom Trail Run at the other end of the season, usuall in April so mark your calendar. And the Apple Hill Harvest Run, race day this ear is November 4th and the course is 8.5 beautiful miles and includes the Harvest Day 3.5 mile Run/Walk. Check the links for info and to register. But back to apple goodness…I am more about eating my way thru Apple Hill. I don’t even do the wine drinking thru Apple Hill any more, so I eat. And I look forward to it each and every year. It is true isn’t it?? Water really is an important political issue everywhere you go and no matter where you live. Why this post today? Hetch Hetchy. Yosemite. San Fransisco. Water. I always traveled a lot. For business and of course, for pleasure. What is more fun for you and your family than to travel to new lands or to old familiar places, visiting friends and family, learning new languages and cultures. When I was young, before I retired and air travel was luxurious, I sometimes would get on a plane Friday night after work, go somewhere and be back at my desk Monday morning. I had friends in the airline industry and was lucky enough to do some flying for free on Stand-By. One of the things I enjoyed no matter where I visited was to drive the local communities, get out in the countryside and see how people lived. And you could not miss seeing what the hot-button political issues were. And Number 1? No matter where you were? Water! Everywhere there would be signs about local water issues, statewide water issues. Signs covering each race, Republican or Democrat in the U.S., local parties in Canada or Mexico. The fences in the country would often be covered with signs about water. Water Rights. The cost of water. The need to damn a river or a creek. The desire to remove the turbines. What politician was o n what side of the issue about water. And nearly every sign asked for money. Money to fight the good fight, whether that be Yes to a Dam or No to a reservoir. They all wanted money. And they wanted more money. It was the same everywhere. Moe water, Access to water. Farmers needed it more. Cities needed it more. Developers needed it more. So what started me on this tirade today? Growing up my Grandmother was always against building dams and reservoirs. Against sending “our” water to other areas and people. They always trucked it out in the middle of the night sending it down south to Los Angeles. And she just knew we needed it more. And the farmers needed it the most. Now there is a very significant political issue in California. A water issue. Even if you don’t live in California you have heard of the Yosemite Valley. You may have even visited. Or want to. But you may not have heard of the Hetch Hetchy Reservoir. So what is the Hetch Hetchy and why is it important in 2012. Hetch Hetchy is the long-lost geological twin of Yosemite. Long-lost because California politicians and big businesses dammed the Tuolumne River and flooded the Hetch Hetchy Valley in 1923, after a decision a century ago, creating a reservoir that continues to provide water to the citizens of San Francisco and the surrounding areas even today. Important today because the current citizens of San Francisco will soon vote on whether or not to “un-flood” the Hetch Hetchy and find new water supplies for the people of San Francisco. How do you un-do a dam and a reservoir? Where do you find water for more than a million people in a state that often is big-time thirsty due to droughts. Understand this: due to the decision 00 years ago to build the dam and flood the valley, sending the water to San Francisco, the people in the city today have pristine, pure drinking water coming out of their faucets. I have no idea how much bottled drinking water is sold in San Francisco but I would bet it is much less on average than other California cities. An unending supply of water for more than one million people, 7 of California’s population, the turbines in the dam provide hydroelectricity to homes and skyscrapers, streetlights & traffic signals, swimming pools, restaurants, and fun spots, and all of this for less than $30,000 per year. Politics? Money? Big business? City vs country? Developer vs farmer?? It is all revisiting San Francisco and the State of California today. Over the past decade, studies by the state and others have shown it’s possible for San Francisco to continue collecting water from the Tuolumne River further downstream. 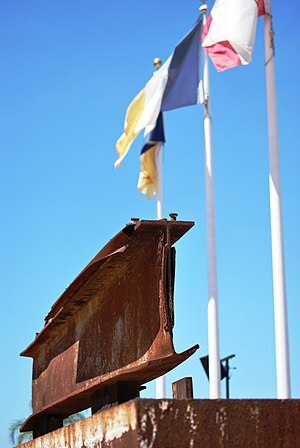 But the city never seriously has considered giving up its claim to the valley. I don’t quite understand the current dynamics. This Bee article above say the Republicans want to return Hetch Hetchy to its’ natural state while Democrats, led by Barbara Boxer and Diane Feinstein want to leave it flooded. That means the Republicans support John Muir and the Sierra Club?? I guess times have changed. I don’t know the thinking of the current Sierra Club. Perhaps they don’t want to see the natural beauty of the Hetch Hetchy Valley?? Yes, they do! Read their thoughts right HERE. Even with Republican support. Even with Democratic opposition. And I have no idea why the Republicans are supporting the effort, they are the folks who flooded it to start with right? They must smell money somewhere in the deal. Increased water rates, utility rates and more. And the other side is afraid that San Francisco will lose their water, certainly their clean drinking water and that water and electricity will cost more. I guess times have changed. I think I just heard my old friend John Muir roll over in his grave! Ronald Reagan’s Cabinet joining his beloved Sierra Club and supporting their causes? What is it? Opposite Day?? Do you Twitter? You can follow @HetchHetchy and @Sierra_Club and check out all of the Sierra Club Twitter accounts to find your local club. My years seem to be driven by fruit seasons here in California and summer is peach season (well melons and strawberries too). But back to California peaches. I used to have a friend down near Modesto, kind of hot and dusty but great peach country. And Smith Ranch was among the best. My friend would buy a few flats and ship one to me! Heaven. A peach that ripens on the tree and is packed with care. Don’t let supermarket peaches fool you. Don’t let their advertisement about “they continue to ripen after they are picked” fool you. Most fruit dies when it is picked and immediately begin to spoil. 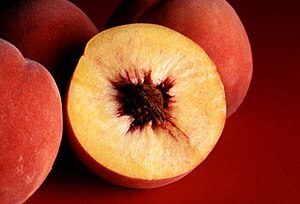 It is almost the season for California’s famous O’Henry peaches, but I don’t bake. I like to eat them in my hand, juice running down my arm and all over my mouth!! So it is also almost the season for beautiful Cal Reds. I learned about Cal Reds shopping with Frog Hollow Farms. They have a few California fruit stands including one at Fisherman’s Wharf in San Francisco. Their farm is nearby so their products are same-day fresh. They also have baked goods so check em out on their website if you can’t get to one of their market sites. And buy Cal Reds, O’Henry’s, as well as the juicy & sweet California white peaches. David Mas Masumoto, the Fresno organic farmer and author of the beloved book Epitaph for a Peach. makes me dream of peaches until summer. Check out his farm….or his book. Apples are good….but eat a peach every day! So now that you have all of those peaches–what do you do with them? Well check out this link with 13 great Peach recipes with beautiful photos! It will all make your mouth water for that sweet peach taste! They have Peach Ice Cream (my favorite), milkshakes an d Peach Pies too! Get ready for the Sacramento Flat Track and the 2012 Sacramento Mile on July 28, 2012 on the grounds of Cal Expo, the California Exposition, during the Annual California State Fair which runs July 12-July 29th. The Sac Mile returned to Sacramento for the 2011 season to standing room crowds and you gotta expect big crowds again this year! Tickets for The Mile are on sale now. Buy your tickets to the AMA Sacramento Mile and they include admission to the Big Fun California State Fair. Tickets range from Standing Room Youth Only at $20.00 to the fabulous Turf Club high atop the grandstand at $85.00. You can check out the seating map HERE and even buy and print your tickets online after you pick your seats on the map! Join the mailing list and stay in touch. You can buy a DVD of the 2011 Sac Mile for $15.00 and a T-shirt for the 2012 here. And the winner is…..for the second straight year since the Sacrramento Mile was brought back to Cal Expo & the California State Fair track, Bryan Smith catches and passes Jake Johnson to win the Sacramento Mile! “Jake Johnsonisn’t chasing legends. He’s still chasing his first victory of the 2012 season.On Saturday night at Cal Expo, the New Jersey rider couldn’t quite run down Bryan Smith, who won his second consecutive Sacramento Mile. Smith held off Johnson at the line to win by .037 seconds. On Saturday June 14th the Capay Valley will host the Annual Tomato Festival near Sacramento, California and nearr the casmpus of the University of California at Davis. Capay Tomato is an heirloom tomato presented by Farm Fresh To You which provides home delivered farm fresh fruits and vegetables direct from their Capay Valley farm and other nearby farms. It’s not just a treat to get vegetables and fruits just off the farm, it’s gotten to be almost a necessity. Who doesn’t want organic fresh produce picked that day? Who doesn’t visit their local farmers markets for that reason? Want to know more about farm fresh organic produce delivered right to your doorstep? Their products are excellent and prices are reasonable. Contest for Best Guest Picnic – Grand Prize is 3 FFTY Deliveries! Sleep under the stars and among the fruit trees. Reserve a camp site in their peach, fig and mandarin orchards. Interested?? Go here for details. In August the Farm plays host to the great Sacramento area Seond Saturday Art Festival. If you read this blog you have seen many entrie about Second Saturday one of our absolute favorite ways to learn about new art (and non-Art) endeavors in the Sacramento area. Taking a Farm Tour on the Second Saturday Art Festival is just a GREAT way to learn all about the farm. Note: Although I talk about the Capay Valley farm in Northern California, there is also a Southern California farm in Anaheim, California. Where is Anaheim? Well, think Mickey Mouse Ears!! 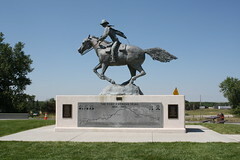 Each year the original Pony Express ride from Sacramento, California to Saint Joseph, Missouri is traveled once again by courageous men and women on horseback.The Pony Express agents first saddled up and rode their horses along this route in 1860/1861, now a century and a half later modern riders volunteer to do the same, recreating the original Pony Express ride along the same route with some of the original challenges of the ride. The heat, the sun, the night time rides, the bugs—all of those things that can make a nearly 1,966-mile journey on horseback torturous recreating that first mail delivery company and ride. Sacramento has a Pony Express statue in Old Sacramento as well as being the annual starting or stopping point for the ride recreating the mail delivery. Why is the Pony Express so important to Sacramento? Sacramento was the Western Terminus of the Pony Express and because of the Gold Rush there were so many men in the hills above Sacramento, far from their families, and the Pony Express provided them with their link to their past. They wrote letters or found someone to write letters for them and shared their letters from home with the other miners. So the Pony Express provided that link to their families and entertainment. And, with security, also moved money along the same route. The Pony Express and the annual re-ride is just as important in St. Joseph, Missouri as it is in Sacramento, California. It is time for the Summer Solstice, as we celebrate the annual change from spring to summer.And no where is the Summer Solstice celebrated better than in Tahoe City, California. It is the Annual Heart and Solstice Festival. When you live in snow coutry I guess that summer and the sun are things you should really celebrate! This year the Summer Solstice celebration runs from June 15th to 24th with 10 signature events and even more activities on the streets and in the shops, restaurants and bars of Tahoe City. Tahoe City is one of my favorite little “big” towns, the “Heart and Soul” of Tahoe is nestled on the edge of the west coast of the beautiful alpine Lake Tahoe. The jewel that sits between California and Nevvada, with gambling on the Nevada side. 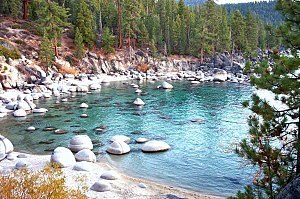 Tahoe City is known for its natural high-mountain beauty, it Lake location and its “quaintness”. It’s just a great place to visit. Many people discover it on their drive to “North Shore” Lake Tahoe. The Sun by Cathy McClelland, North Lake Tahoe artist, brilliantly captures the essence of summer at Lake Tahoe. Chili Festival in Elk Grove June 9th!!! Get your pots out! And your aprons. Or at least your spoons and forks!! Elk Gove is sponsoring their Annual Chili Festival on Saturday. the streets of Old Town Elk Grove! 10,000 people attend this festival each year, competing for prizes for the Best Chili and more. Want to be a vendor?? Or be a volunteer?? The Chili Festival is a great Elk Grove community event and volunteers are always welcome!!! Need a map or access information?? Well, go HERE and find out how to get to the town of Elk Grove and to the chili festival. I can smell the chili now and it is making me hungry I tell ya!!! There will be at least 30 chili cookers competing in Old Town Elk Grove on Saturday June 9th for the title of Best Chili in this cook-off!! Wh compete in the Chili Festival? There’s a $10,000 Grand Prize out there!! Real man’s chili. Meat. And wicked. Go to Elk Grove and compete. Or be a taster. Or just have fun and eat some chili. Where Are Visiting Peeps From? Who the heck is here? ?